Next we need to enable deploying the webresources. 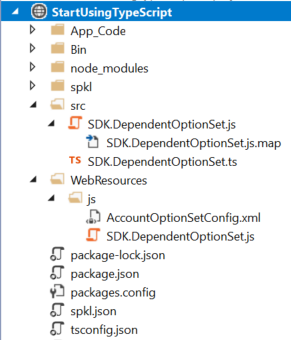 In the previous part we installed spkl and added the DependentOptionSet webresources. If you've not done this, I suggest you go and review Part 1. 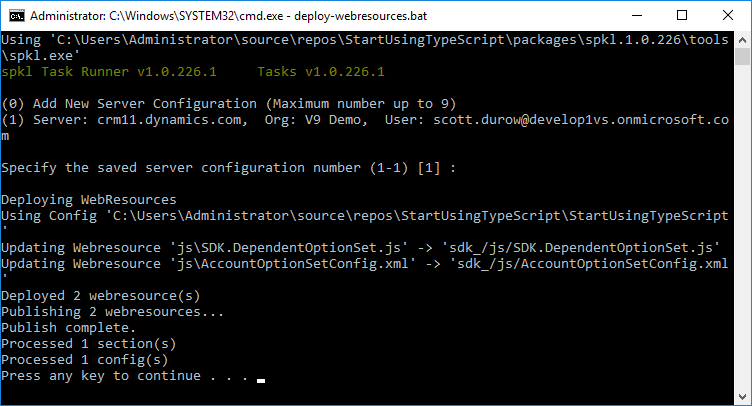 You can now deploy by running the spkl\deploy-webresources.bat at the command-line. Since we installed 'Open Command Line' in the previous part, we can simply select the spkl folder in Visual Studio and press Alt-Space to open the command prompt! 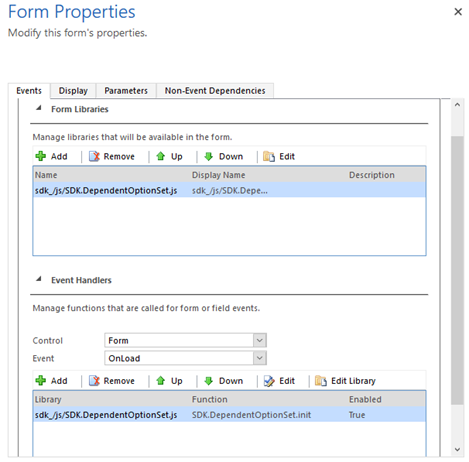 Now that we've deployed the webresources, we can configure it for use on the Account form. 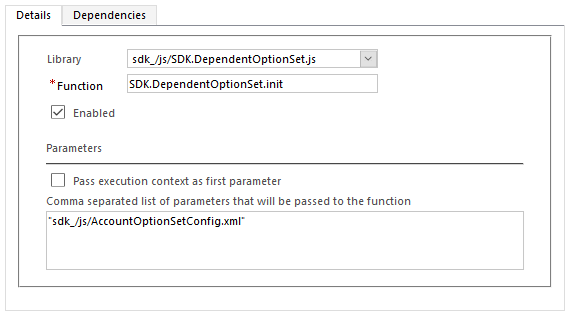 Add a new OnLoad Event Handler that calls the SDK.DependentOptionSet.init function with the Parameters (including the quotes) "sdk_/js/AccountOptionSetConfig.xml"
Locate the Shipping Method field on the form, and add a new On Change handler calling SDK.DependentOptionSet.filterDependentField with the parameters "address1_shippingmethodcode","address1_freighttermscode"
These steps are simply necessary to wire up the code to the form events. 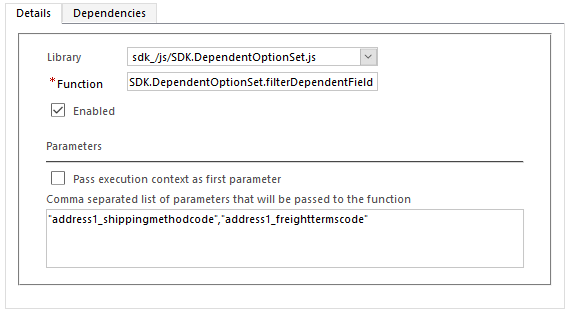 If you save the form and publish you should now see the Shipping Method drop down filter the Freight Terms based on the configuration xml. Install Fiddler2 from https://www.telerik.com/download/fiddler Run Fiddler.Select Tools->Options->HTTPS and select Decrypt HTTPS traffic. Click Yes when prompted to Trust the Fiddler Root certificate, and then Yes to each subsequent dialog. Click OK on the Options Dialog. This allows Fiddler to decrypt the HTTPS traffic between the browser and the server so that it can intercept it, log and respond with a different file where needed. You should see a grey highlighted request for the files that match – which is now redirecting to your local file. 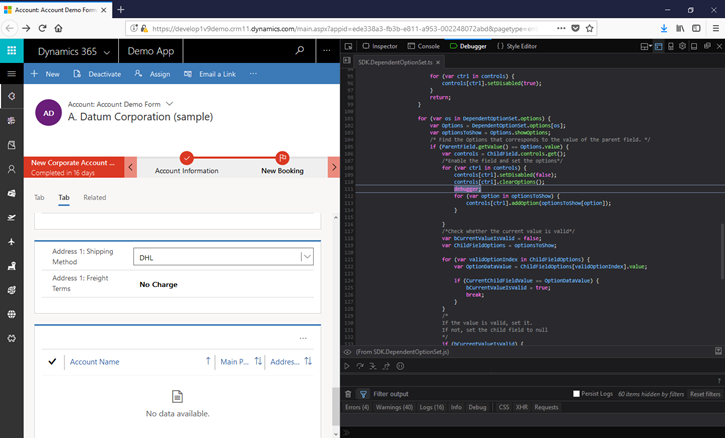 When you refresh your page, you can now make changes to your local TypeScript which will recompile to a local js file and picked up without a re-deploy and re-publish. 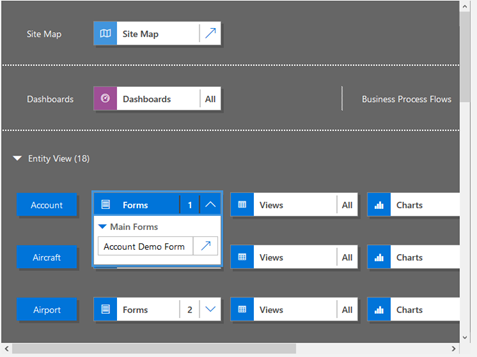 This now will pick up the locations in the source map and redirect to your local folder.